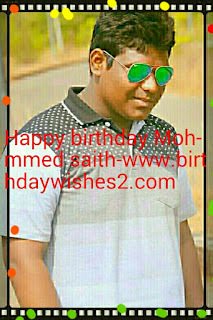 Happy birthday Dear Mohammed Sabith - birthdaywishes2- Birthday wishes sms,birthday wishes images,,special birthday. He studied at P.A.U. collage of engineering University. in Manglore. His education is also in Manglore.